Don't see a design you like but love our print quality and pricing? 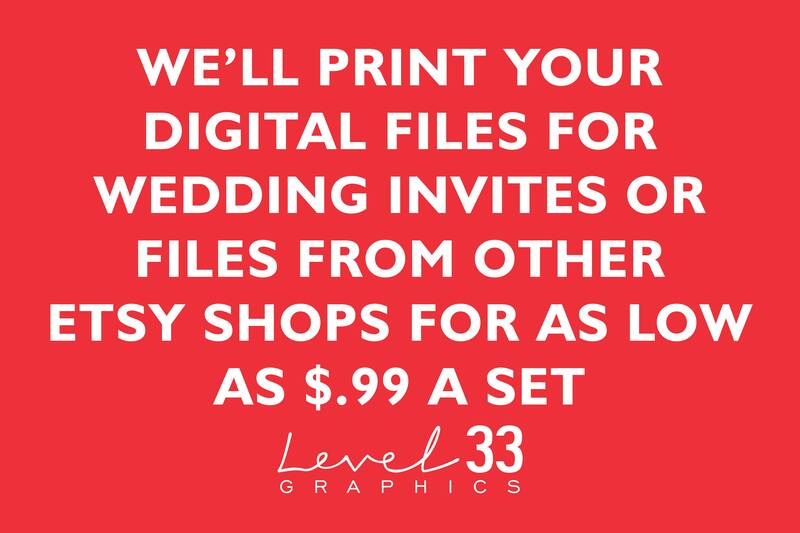 No problem, find a different design on Etsy and we will print your digital wedding invitation files you purchase from another Etsy shop, online graphic store or local designer and ship them right to your door for as low as $.99 each set. The white lettering on this barn wood back drop is perfect and would be great for a rustic country wedding. The glowing lights are the perfect added touch. All invitations are printed on premium 100 pound card stock and completely customizable. ★★ PRINTING - We will print the order and mail them to you within 3 business days!